Whether we’re spending the afternoon on the field or half an hour at the gym between meetings, us ladies know the struggle of wearing makeup while we sweat. It doesn’t seem to matter which luxury brand we purchase. It doesn’t blend well with perspiration. I spoke with Courtney Jones, former professional soccer player, about her brand new company: Sweat Cosmetics. The original idea started with her two co-founders: Taryn Hemmings and Emily Rines, teammates from the Denver University women’s soccer team. They noticed what we’ve all noticed, but in a much more glaring way (when you have over twenty women on a field, it’s pretty easy to distinguish). Some had foundation caked on their faces, which naturally would melt off as the game intensified and the sweat poured. And others skipped the foundation, instead being UV-conscious and covering their faces with pasty white sunscreen that would also be dripping by halftime. “Gross!” Courtney exclaims, describing this scene, ( definitely an easy sentiment to share). There had never before been a cosmetics line that tailored to female athletes, so Courtney, Taryn, and Emily recognized the massive potential for a makeup that could endure sweat and provide protection from the sun. They worked with a cosmetics chemist in Los Angeles, and Courtney, a makeup enthusiast (and Sephora VIB Rouge member) herself, was able to see the other side of makeup consumerism: the product development. “It was totally different than just buying and trying,” she admitted. They have an amazing team of women who are all athletes by trade (and Emily Rines additionally has an accounting degree), and Courtney shares they’re the first to admit that they’re new to entrepreneurship and are still getting a hang of things. They have investors and advisors that believe in them and what they’re doing, and who can steer them in the right direction. At the end of the day, they have a revolutionary idea and the enthusiasm to make it possible. That’s the key ingredient to a successful business, all entrepreneurial expertise aside. The company has been four years in the making, as the team formed in 2012 and the products first launched online in 2015. She notes that, although the company is “off the ground” as the saying goes, they’re still hovering, waiting to take off. She disclosed what her former coach used to say: “potential means you aren’t worth anything yet.” Yikes. But within that harsh advice, Courtney and her team have found the motivation to take it to heart, and wake up everyday continuing to push. They recently scored Sephora as their new distributor, which we all know is BIG in the makeup world. 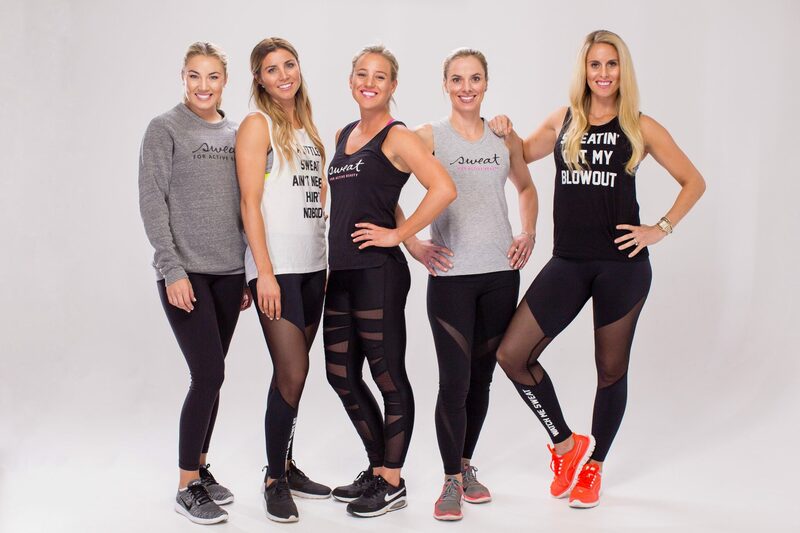 They have also collaborated with companies like Orange Theory, Lululemon, and CorePower yoga for specialty events…oh, and they were featured on Good Morning America just last month. They also have a team of ambassadors that differ from the typical makeup company. These women are not only athletes, but influencers in their communities. Some names you may recognize include Olympic track and field runner Natasha Hastings, pro snowboarder Elena Hight, or pro golfer Marissa Dodd. These women align with the brand: a cosmetics company created for female athletes by female athletes, with an emphasis on empowerment.